Beckham’s England career ended several years ago without a major trophy. 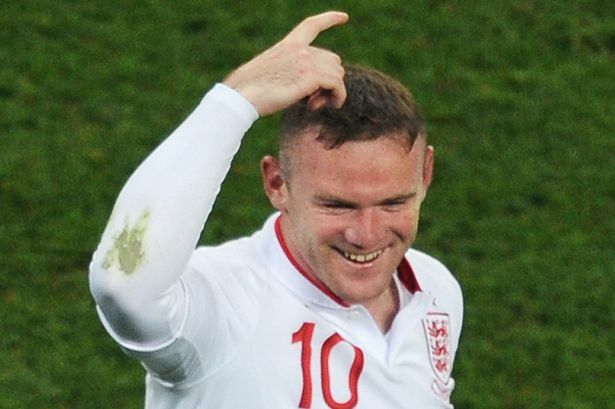 Fans hope Rooney will avoid a similar fate, and, on Tuesday, during his return to the England team, he scored the winning goal against host nation Ukraine. Although Rooney’s overall performance was decidedly average – it certainly failed to meet the ridiculous pre-match expectations – fans and the press seem to feel that average will do for now. Roy Hodgson’s claim that England are “exceeding expectations” is a measure of how dire the last decade has been. Even the “oh-so-nears” that the Lightning Seeds sang about 16 years ago are ancient history. England haven’t reached a major semi-final since 1996, when Gascoigne, Shearer and company performed heroically on home soil. England are just one game away from ending that wait. Hodgson’s team topped Group D with seven points, avoiding an early meeting with reigning World and European champion Spain, which, despite a couple of unconvincing recent performances, is still the most feared team in the competition. “I’d have been quite happy to play the Spanish,” claimed a beaming Hodgson. “I think this team of ours would have given Spain a pretty good run for their money.” Very bullish indeed. As it is – and, to be fair, as Hodgson eventually admitted – England are satisfied with what seems a winnable match against Italy. The Italians advanced to the quarters on the back of an uninspiring 2-0 win over the Republic of Ireland, who finished bottom of Group C.
Italy’s tournament preparation was fraught with trouble, even discounting another of their now-habitual match-fixing scandals. Giuseppi Rossi and Antonio Cassano both missed most of the domestic season, leaving Cesare Prandelli short on strikers in the weeks before the tournament. Cassano, who suffered a minor stroke in September, fortunately recovered in time to play; Rossi, however, looks set for another six months on the sidelines. In defense, Andrea Barzagli’s injury has forced Italy to experiment with a back three similar to the one that Juventus used at the end of their recent Serie A campaign. In Italy’s opening match against Spain, Daniele De Rossi shifted to center back, where he partnered Giorgio Chiellini and Leonardo Bonucci. De Rossi, nominally a midfielder, coped with Spain’s striker-less formation quite easily, but he looked uncomfortable against Croatia front men Nikica Jelavic and Mario Mandzukic. If Gerrard is to live up to that praise, then he and Scott Parker will have to stifle Italy’s creative linchpin, Andrea Pirlo. Pirlo produced arguably his best-ever football last season, inspiring Juventus’ redemptive title win, and he has already made a substantial mark on Euro 2012, teeing up Antonio Di Natale against Spain before netting a wonderful free kick one game later. Pirlo is the fulcrum of a talented midfield quartet that also includes De Rossi, Thiago Motta and Claudio Marchisio. Parker, a player who, for all his passion, has his headless-chicken moments, will have to maintain absolute concentration. Supposedly, this year’s England team are more Italian than the Italians themselves. Some claim that Roy Hodgson’s spell as coach of Inter Milan is responsible for the defensive philosophy he has adopted as England manager. Man for man, Italy are better than England. Talented enigmas like Cassano and Balotelli complement the graceful Pirlo, a player for whom England have no clear counterpart. Prandelli proved in the group stage that the Azzurri are tactically flexible, and throughout his tenure he has asserted personal and footballing discipline over the squad, instituting a code of ethics that forced Balotelli’s suspension from the national team while he completed a Premier League ban. England, on the other hand, rely on their most unpredictable and undisciplined player, he of the two red cards — Wayne Rooney.